Ultimate Winery Experiences member, Penfolds Magill Estate is the original home of Penfolds wines and of Australia’s most prized wine, the famous Grange. To symbolically coincide with the new vintage release of Grange (2011), Penfolds presents The Story of Grange, a short film that tells the extraordinary tale of how Chief Winemaker Max Schubert created Grange. Set in the 1950s, narrated by Russell Crowe and directed by Nic Benns of Momoco, the film captures Max’s vision, the setbacks, the determination and, ultimately, the achievement of making not just a great Australian red, but an icon now lauded the world over. The film’s original musical score is written by one of Australia’s most distinguished screen-composers David Hirschfelder. David said his first inspiration for creating the music “saw its seeds in the poetry of powerful and magnificent flavours emanating from a glass of Grange.” Spending time walking amongst the vineyards and cellars at Penfolds spiritual home, Magill Estate Winery, also gave David a palpable sense of the history and tradition and the detail and passion that goes into making not just a wine, but a Penfolds wine. In 1957, MaxSchubert was asked to show his efforts in Sydney to top management, invited wine identities and personal friends of the board. To his horror and humiliation the Grange experiment was universally disliked. Even further tastings in Adelaide resulted in negative opinion. One critic observed, 'Schubert, I congratulate you. A very good, dry port, which no one in their right mind will buy – let alone drink.' Embarrassed, angry and dejected, Max Schubert's ambitions to make 'a great wine that Australians would be proud of' were completely destroyed. Grange was dead. It was the happenstance of distance between senior management in Sydney and winemakers in Adelaide, 1,400 kilometres apart, which saved Grange. 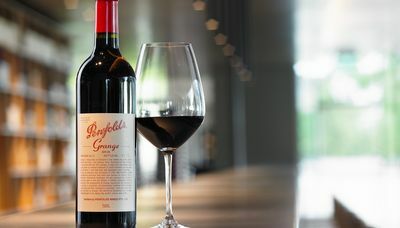 With the help of Magill's assistant general manager Jeffrey Penfold Hyland and Schubert's team of winemakers, all the experimental Grange was hidden in the underground cellars of Magill and from 1957 to 1959, the 'hidden Granges' were made without the knowledge of the Penfolds board. Max Schubert continued to source fruit and make his experiments in secret. Although management was kept away, friends and associates were occasionally brought in to taste the wines. Some bottles were even given away. Although considered uncommercial in 1957, news was filtering out about Schubert's unique Grange Hermitage. A second tasting with the same board members was organised of the 1951 and 1955 vintages, both with bottle age development, were greeted with enthusiasm (the 1955 went on to have a very successful wine show career). 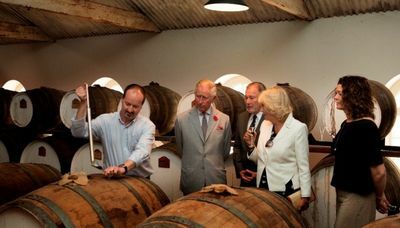 The Penfolds board ordered production of Grange to restart, just in time for the 1960 vintage. 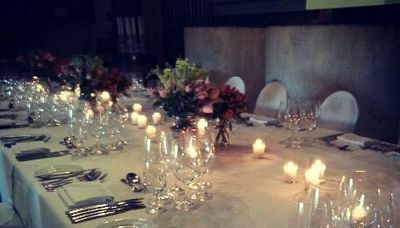 During the 1960s Grange firmed its position as Australia's most distinguished wine. The rest is history. It marked the beginning of a 'dynasty of wines' that would capture the imagination of the Australian wine consumer. To learn more about Penfolds wines and the history of Magill Estate, consider our Ultimate Penfolds Experience, including a tour and tasting of Penfolds most awarded and sought after wines.